Home > Resources > Lifestyle Tips > What Does a Day In the Zone Look Like? A Zone meal is about 40% low-glycemic load carbohydrates, 30% low-fat protein, and 30% fat (primarily monounsaturated fat). It's the balance of protein to carbohydrate at each meal that determines the hormonal response which is why it’s important to focus on the balance of each macronutrient (carbohydrate, protein, fat) rather than on the calories themselves. Your brain needs about 130 grams of glucose per day, meaning your carbohydrate intake should be adequate enough to keep the brain happy with its preferred fuel which is glucose (not ketones) throughout the day. On the other hand, consuming too much carbohydrate at any meal will cause an over-secretion of insulin leading to a reduction in blood glucose levels within a few hours which causes hypoglycemia and increased hunger and mental fatigue. When making a Zone meal our general recommendations are to aim for one that is under 12 grams of fat with 25 grams of protein, about 35 grams of net carbs (total carbohydrates minus fiber) and approximately 400 calories or less. Having the right amount of fat, balanced with protein and low glycemic carbohydrates helps minimize hunger and fatigue for 4-5 hours. 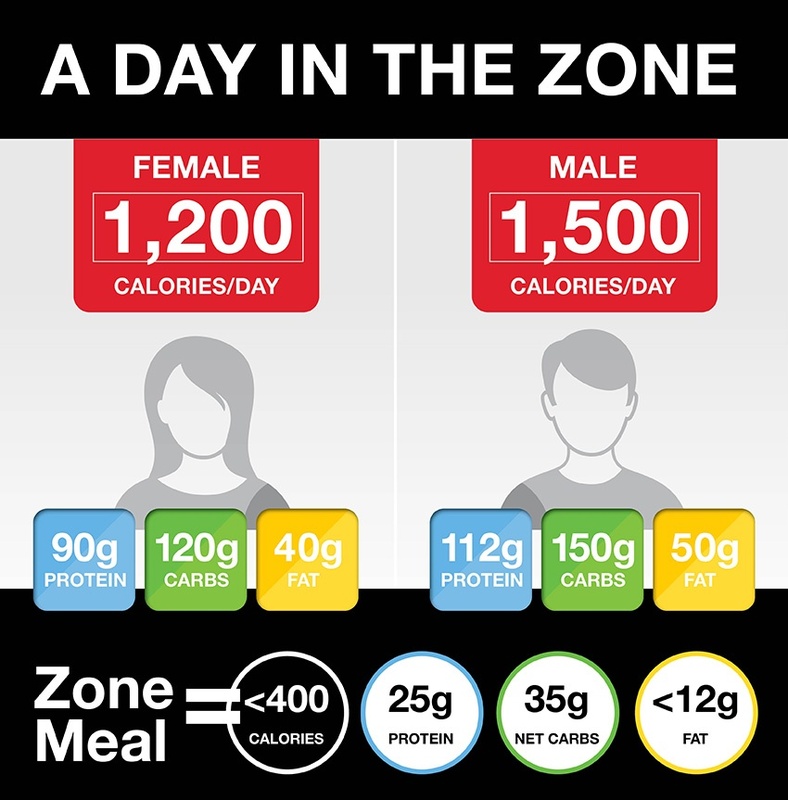 The amount of protein consumed on the Zone Diet is pretty close to what the average American (female or male) is already eating, but now split evenly throughout the day. 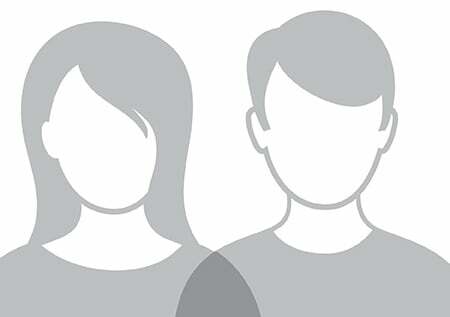 We realize that eating is not a one size fits all approach which is why we recommend using our protein calculator and food block guide as the most precise way to determine your needs. In a bowl, mix egg beaters and olive oil. Add garlic, tomatoes, and jalapeno peppers. Spray a skillet with cooking spray and add egg mix. Wiggle pan to even out the temperature so it cooks evenly. When almost set, add cheese. Wash spinach and spin dry. Place in a large bowl with remaining salad ingredients. Heat a small skillet over medium-low heat. Add olive oil, shallot, champagne vinegar, orange zest, salt and pepper. Cook until shallot is translucent, 2-3 minutes. Drizzle warm dressing over salad mixture. Toss gently to wilt spinach. Prepare the Zone Fusilli as directed. Set aside. Meanwhile, heat a medium skillet on medium-high heat. Add 2 tablespoons dressing, butter, zucchini and onions to skillet; cook on medium heat 4 minutes or until vegetables are crisp-tender, stirring occasionally. Stir in shrimp, tomatoes and snow peas; cook 1 to 2 minutes or until heated through. Add the cooked Fusilli to the veggies and shrimp. Stir in remaining 2 tablespoons of dressing and transfer to a bowl for dinner. Whip egg whites with vanilla until thick and frothy. Whip in flour and wheat germ. Gently fold in 1/4 cup low-fat cottage cheese, blueberries and olive oil. Spray a griddle with olive oil spray. Cook over medium-high heat until golden brown. Do not under cook. Makes 4 pancakes. Mash the blackberries for “syrup”. Steam the broccoli for 3-4 minutes, rinse with cold water to stop cooking. Set aside to drain in colander.